Before I started this blog I would eat at King Taco three or four times a week. I ate there so often the gentlemen that prepared the orders knew me. They knew me and acknowledged me. It's one thing if they know your face, it's another if they acknowledge you as a regular . That can go a long way to getting an extra salsa roja or cup of jalapeños or often times just the correct order. It always helps ordering the same thing every time. As they knew my face they also knew me by the name "2 carne asada , 2 al pastor guy". One time one of the workers at the King Taco on San Pedro St said to me" Hey, you normally eat at the Pico and Alvarado king taco"
He was right, the Pico and Alvarado location was my King Taco. After starting this blog I stopped going to King Taco. Not because I didn't love King Taco but because as a taco journalist I had to cover the overall taco beat and not the same beat everyday. There were other tacos to report on, the city was waiting. So when I decided it was time to go back to King Taco I wanted to go to the King Taco I had never been to before. 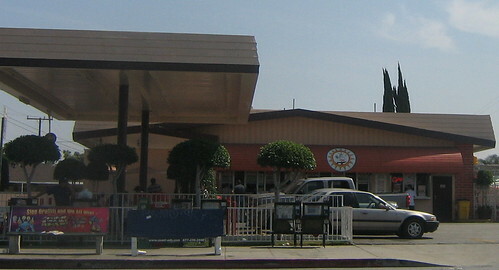 The King Taco stand in East LA on Olympic blvd, a region I refer to as the taco mecca. To my knowledge this King Taco is the only King Taco that is a traditional taco stand(it has no indoor ordering) It is also one of the biggest taco stands in Los Angeles. King Taco's carne asada is the popular choice . 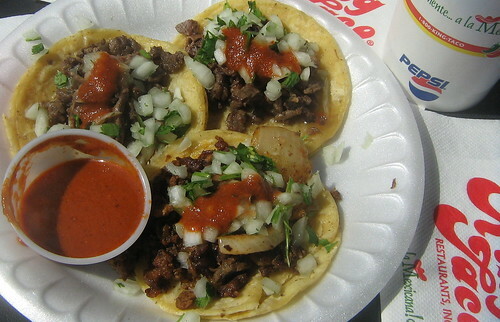 These are classic LA tacos. The perfect amount of oil is applied to each tortilla, and the way the onions and cilantro and meat combine with the hot salsa roja is just magical. Al pastor, suadero, carnitas are all excellent as well but it is the asada tacos that I fell for first. But it is the salsa roja that sets firmly the crown atop the King's head. It is what you think of when you hear King Taco, and for heat lovers it is what you crave. It is what makes King Taco the King. 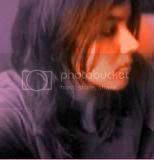 PS : I'm looking for classic taco stands or taco huts. The kind that have an outdoor window ordering only and no indoor seating. The taco stand(as well as burger stand) is kind of a dieing art. The westside has only 1 taco stand, La Playita on Lincoln Blvd in Santa Monica. So my friends, email Me the taco stands in your area. Even if they are not the greatest tacos I still want to check them out. I like El Taurino very much--and I believe that it is part of the King Taco empire--but their corn tortillas are the weakest part of the deal: strictly store-bought. The Pico/Alvarado location is furthest west. That's not counting El Taurino, which is indeed part of the King Taco family. 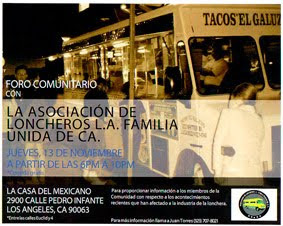 Pico/Alvarado is only a few blocks away; check it out! I have followed your blog from its inception and have eaten at dozens of your chronicled taco establishments. I have to admit that for consistency, nothing beats King Taco (my favorite, being a westsider, is Pico/Alvarado). Yes Don Felix has excellent pastor and asada and that habanero salsa is wondrous. The Garcia Bros truck on La Cienega and Venice is killer for its pastor but their hours are a little funky. King Taco lives up to it's name: "King". It is the taco (and burrito) mecca. Keep up the great work. I look forward to trying out the Pico/Alvarado location. Will I encounter home-made corn tortillas there? And do they have that same killer green sauce as El Taurino? Yeah, when you have a location smack in the middle of THE TACO MECCA you have to stay on your game. Years ago that used to be a Texaco gas station. There was this little taco stand in Montebello, Hay street and Beverly Blvd. the buildings been there for years, some how it managed to survive during the reign of Grandma's (legenday Tamales, made the L.A. Times list numerous times.) The signs are still there, I should go check it out to see if it's still open. I have eaten here as well i love the food but messes up my stomoach..
Is the best I have found in Pasadena for good quick mexican food. Dear Bandini: I wrote to you a few weeks back and asked you where I should eat tacos on my trip to LA and that I only had time to eat at one place (I'm the Tito's Tacos guy). You replied King Taco. I tried the Cypress Ave location for my de-virgninization. I had 2 carne asada, 2 al pastor and 2 lengua. Delicious! I went to the Olympic Ave location right before closing one night as well. My personal favorite is their lengua taco. I'm craving it as I write this. By off chance, do you know of tacos places in other cities? 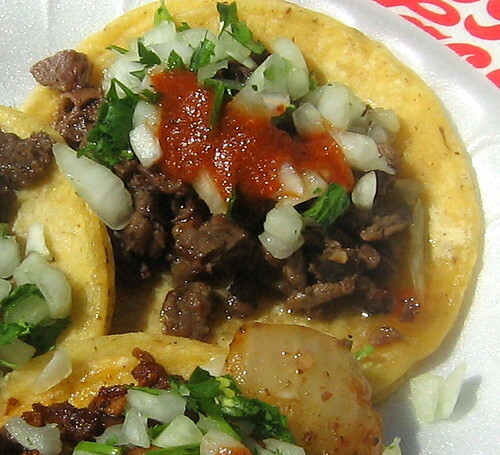 In particular, do you know of any good LA quality taco stands in Seattle? Of course, Alberto's in San Diego is excellent. The one's I've been to in the L.A. area, not so much. Also, if you are ever in Tucson, you should absolutely hit Los Betos. Me too. I go through somewhat of withdrawal when Bandini hasn't posted in more than two days. I was shaking like a leaf during a strong Santa Ana yesterday. you may be on a soft taco hunt, but i have been in search of the perfect hard taco for the past 42 years. i travel all over the country and so far i have only found a hand full of great hard taco stands/restuarants. if you're readers know of any let me know. Good luck on your search for taco nirvana! I tried King Taco for the first time (07/30/07) here and let me tell you ... I was completely disappointed. Maybe it was overhyped but I tried the asada tacos and they came out tiny and did not have much flavor. The meat was tasted boiled and if it were not for the salsa roja I would not have finished the taco. I hope it is just this location or the wrong day because I have heard a lot of good things about KT so I am going to give it one more shot. I think that their Carne Asada has way too much lemon. It taste like im biting into a lemon! One reason I think is because the meat must be old and they need the lemon to cover it up. Plus it's so expensive for a Gosh Darn 2 bite taco. $1.25. Geeze! 2.5 inch taco. There is just too much hype for this place. I've been to many Taco Trucks that are 10 times better and 10 times cheaper. KT is okay but just Okay. The Olympic Blvd King Taco laocation as well as the King Taco on 3rd Street, both in East LA, were built over existing gast station lots. The one on Olympic Bvld is even using the old Shell sign for their King Taco banner and they also converted the gas station garage into the kitchen. That said, I wonder if the county of Los Angelest had ever conducted an environmental study concerning the feasibility of operating a restuarant on such a sight in the interest of the public health. After all, East LA residents don't seem to mind if those mobile hot dog vendors, that use a shopping cart as a stove, don't have adequate hand washing facilities. there's nothing great about kt tacos,believe me whem i tell you that any taco stand across the border will beat kt any an every time.as time goes by,kt tacos are just getting worst,customers who get their tacos there and think they are great is just because they don't know any better.a good taco goes with "rabanos",avocado(asada tacos) charbroiled green onions,not only some cilantro,broiled onions and salsa,not to mention that $1.25 is too much for a very low quality taco.king taco has always been about quantity,not quality.whoever says kt tacos are the best or average,don't have a clue about a good taco! Overpriced, overrated, and just plain foul. AVOID! Out with the old, and in with the new King Taco needs a lifeline and here it is www.stvendors.com your well come!! !